These are the words flung in my face not too long ago, by a person I thought was close to me. I was in shock and asked what do you mean? – I couldn’t believe that these were the thoughts of somebody I had respected. They may well be the thoughts of common people in my close vicinity. By opening my eyes to a dimension I ignored until then – the secret thoughts and dreams of people, maybe of the masses began revealing themselves; thoughts that are expressed only in an ambiance of familiarity, or perhaps when ‘under the influence’, when often the inner-most truths come to the fore. Over-population is a western ego-centric phantasy. Western Comfort is afraid of having to share some of their excesses with the poor under-humans of so-called developing countries in Asia, Africa and Latin America – the slowly emerging Continents that have been raped for hundreds of years by precisely the same western colonialists which today claim over-population and wage war around the world in a new form of colonialism. According to FAO – the UN’s World Food Organization – the globe’s current agricultural potential could feed at least 12 billion people, if only the food would not be subject to speculation and would be properly distributed. But it isn’t. Food crop speculators in the US and in Europe, command the price – they literally control who may live and who must die – by famine. According to the World Bank, 80% of the food-price hike induced famine of 2008 / 2009 that precipitated the death of 2 million people in Asia and Africa was the result of food speculation. Three weeks ago, the Swiss Government recommended its electorate to reject a Swiss socialist-led people’s initiative against food speculation. Their main arguments were denial that food speculation caused famine; and “if we forbid food speculation, the speculators will leave Switzerland and make their profit elsewhere”. With the prevailing neoliberal thinking: Profit über Alles, ethics has no place. 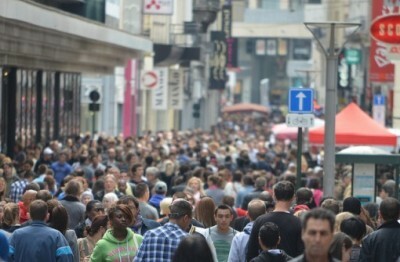 The Swiss populace indeed complied and rejected the initiative with a margin of almost 2:3. 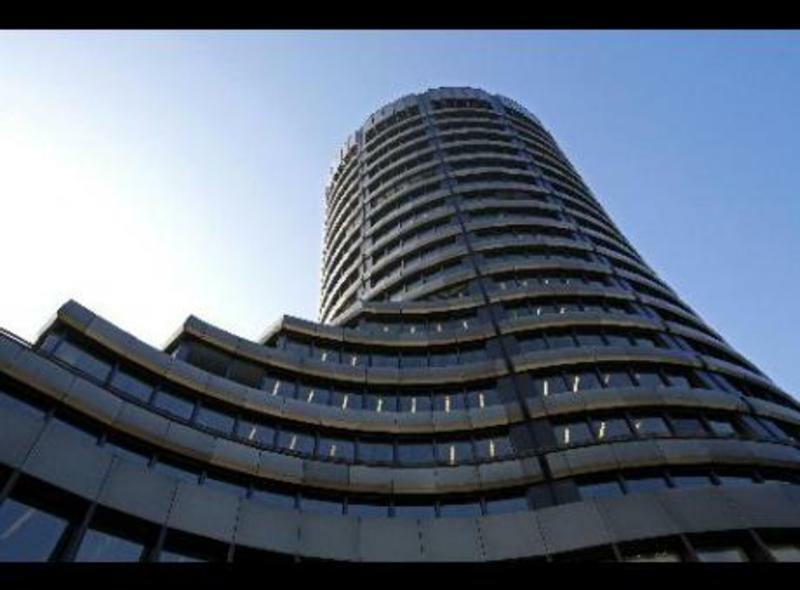 The financial centers of Switzerland in Zurich and Geneva control some of the largest food speculators in the world. The nefarious speculative business practices of Place Finance Suisse are alive and well. Thoughts and clandestine desires of population reduction and faraway wars are most likely the unconscious results of decades of horrendous western propaganda seeking in one way or another popular consensus that wars are necessary, wars are normal, wars is what people had since ‘the beginning’. What beginning? – Most certainly the beginning of the atrociously violent and greed driven Judo-Christian era, some six thousand years ago. Wars are the quintessence of our western existence, the final quest for power over the universe. And wars are essential for the survival of our western growth-based economic system. Wars create needs for more wars and armed conflicts – wars propel a vicious spiral of conflict dependency. We have in our western economies created a war dependency that is so crass that for example the US economy (sic) could no longer subsist without wars. Wars kill and destroy; and reconstruction creates growth. Mass killing helps diminishing the world’s population, a key objective of the elite’s cream of the crop, like the Rockefellers, founders of semi-occult organizations like the Bilderberg Society. The justification for continuous conflicts and killing is precisely what the western media are propagating day-in-day-out – terror that has to be fought by wars. If there is not enough terror to rationalize a war, terror has to be manufactured – by false flags. The west has perfected the science of constructing false flags – so credibly that the masses are screaming for more police and military protection; so credibly that the masses want more wars in far-away overseas places, more wars for their protection, for the protection of their comfort; so credibly that western societies gladly give away their civil rights for more police and military protection. As an example, following the January and November 2015 ‘terror attacks’ in Paris, President Hollande is attempting to put a State of Emergency permanently into the French Constitution. So far it has been blocked by Parliament. The propaganda now, as well as then, spreads fear. When man is fearful, he is most vulnerable and can easily be manipulated. 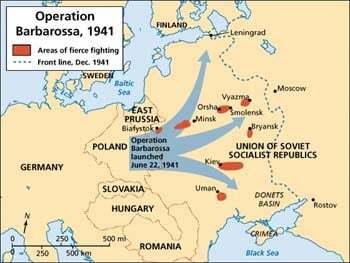 Today, similarities between what Chris Black calls Barbarossa 2 and the original Barbarossa abound. Starting with Corporate Big Business (CBB) and Wall Street (WS) supporting the fascist drive for world power, to the propaganda and lie campaign of six mega- Zionist-Anglo-Saxon media corporations, to the funding of the war operations itself. WWII has killed more than 50 million people, about half of whom were Russians – funded by the FED via WS and the Bank for International Settlement (BIS) in Basel, Switzerland in German; the book on which this German newspaper article is based, “Bankgeschäfte mit dem Feind – Die Bank für Internationalen Zahlungsausgleich im Zweiten Weltkrieg” (1997), by Gian Trepp, describes the transactions in details – but, surprisingly it is no longer available, and it has apparently never been translated into English. – However, “The Tower of Basel” complements and corroborates Gian Trepp’s account quite well). Both of WWs I and II – and God forbid, WWIII, were and would be directed towards the east. The first target being Russia. China is already in the mire of attack and conquer of these class one elitists. The CBB elite are steering the Pentagon and by extension Washington’s NATO vassals. This cream of the crop pretending to run the world is hiding behind such nefarious organizations like the Bilderberg Society, the Trilateral Commission, the Council on Foreign Relations (CFR), Chatham House, the World Economic Forum – and more. The Clintons, Kerrys, Obamas, Hollandes, Camerons of this world, as well as the heads of the Washington Consensus instigators, the FED, World Bank, IMF; of the so-called European Central Bank, joined by the CEOs of WS, the military industrial complex, the medias of mass communication, the pharma – to name just a few – are members of most of these semi-secretive inter-laced organizations. Many of these leaders are Zionists or supporters of world Zionism. They are all joined at the top, through one of the opaquest and most sinister pacts: The Freemasons, symbolized by the triangle with the watchful eye in the upper center, as depicted on the dollar bill. 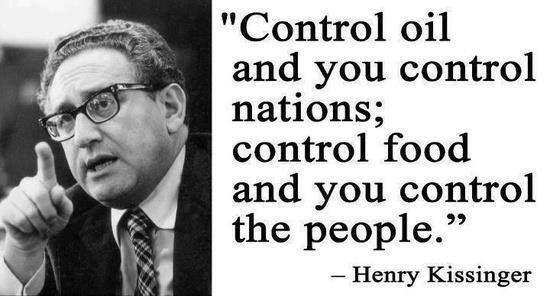 They are the creators of the FED and our western fraudulent casino monetary system. They are already ruling the world. Their grip is tightening every day to the point of no return, if We, the People, let it be. Hitler awarded to IBM founder Thomas Watson the Merit Cross (Germany’s second-highest honor). Other collaborators included Ford and General Motors, DuPont, the chemical giant, as well as the Randolph Hearst media empire, to name just a few, who admired the Führer for his disciplinary leadership. They turned a blind eye to the Nazi atrocities when profitable business loomed. Corporate America provided the arsenal for Hitler’s Nazism. Today, similar to then, corporate America, corporate Europe, and corporate western media, hand-in-hand, promote and support a fascist approach to denigrate and squash independent and non-aligned Russia, then China – all with the PNAC’s (Plan for a New American Century) objective of Full Spectrum Dominance of all the world’s resources and all the world’s people. One of the most recent physical onslaughts began with the by now well-documented western instigated Nazi coup against the democratically elected leader of Ukraine, Mr. Viktor Yanukovych, replacing him by a fascist government, in the bloody Kiev Maidan coup of February 2014 – and blaming Russia for the ensuing ‘civil war’; actually it is a NATO supported massacre in Ukraine’s eastern Donbass area, killing at least 40,000 people mostly civilians and causing some 2 million refugees. 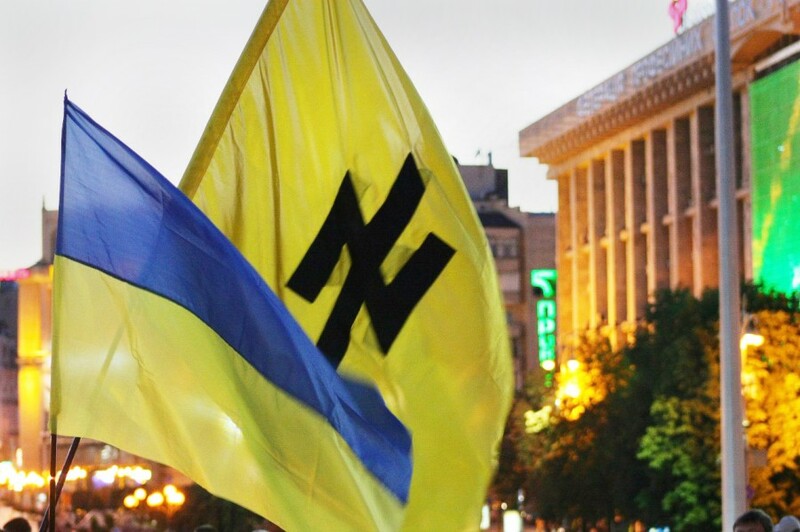 The objective of this murderous western initiative is two-fold: moving NATO closer to Moscow – and privatizing the rich agricultural and mineral lands of Ukraine by wester capital. 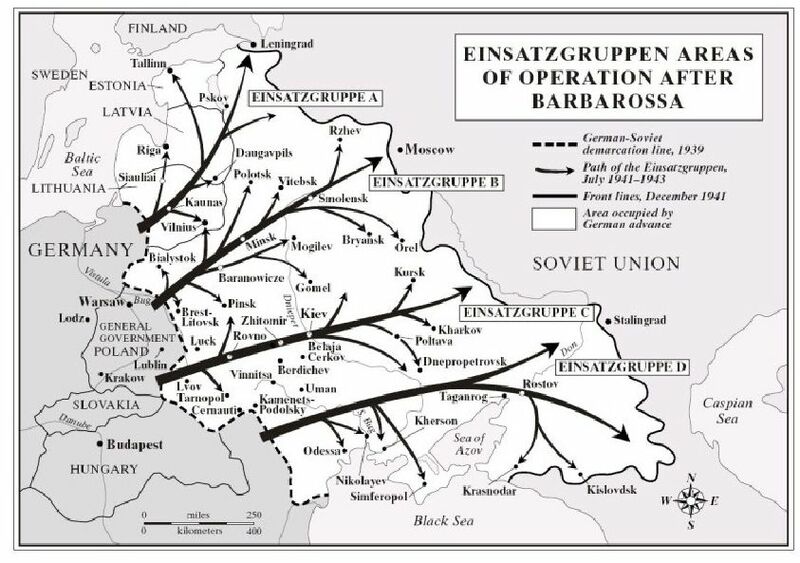 Who is funding ‘Barbarossa 2’ – the US / NATO war adventure in preparation of WWIII? The cost is difficult to assess but could easily reach a trillion dollars, or above. 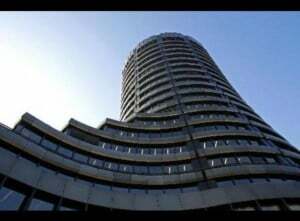 This is where the FED and the ECB may come in – and the similarity with Operation Barbarossa, where the FED via WS and the BIS funded Hitler’s Holocaust and war on Russia. Could this be the reason for ECB’s tolerance vis-à-vis some Eurozone countries’ – France and Italy, probably Poland and others – in the last couple of years producing more Euros than ECB rules would allow? This ‘new’ money, generated at the tune of at least 500 billion euros (in excess of the allowed Eurozone quotas) buys government bonds, thus, financing government debt. With what we now know on how WWII was funded, would it surprise if the FED / WS-run ECB (remember, Mario Draghi is a former Goldman Sachs exec) would follow instructions from Washington to turn a blind eye to the Eurozone’s debt-ratio limitations, to produce, as does the FED with dollars, worthless euros to fund a future WWIII? – This would be merely copying the formula of the FED / WS / BIS funding of WWII. The Empire of Chaos is as always dancing on two weddings: funding a new war with Russia through debt imposed by Washington on its EU vassal allies, sanctioning Russia through the same EU vassals, which willingly accept the nefarious economic consequences for themselves, while the war machine of the exceptional nation of the US of A will reap the benefits of her arms industry; and while Obama did not prevent US business representatives to attend Russia’s International Business Forum last June in St. Petersburg. When do “We the People” open our eyes to these flagrant human atrocities and deceits of an ever manipulating elite?